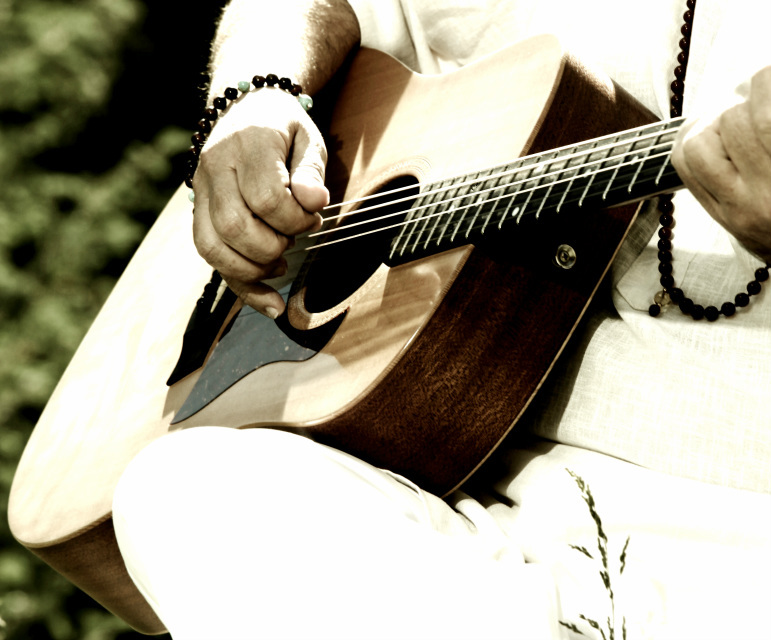 Guru Dass is a worldwide renowned mantra kirtan performer as well as a gifted spiritual songwriter. A child of the ´60s he began playing the guitar and singing at the age of 11. When he was 17 he went to Berklee College in Boston, Massachusetts where he studied arranging and composition, as well as guitar and piano. Soon after he moved into a Kundalini Yoga ashram in Washington, D.C. where he came in touch with mantra chanting. He soon became an acclaimed performer in many 3HO/Kundalini Yoga events worldwide. He has performed at the Royal Albert Hall in London; The Troubador Club in Los Angeles; Golden Gate Park in San Francisco; the Golden Temple in Amritsar, India; amongst others. He was a member of the Khalsa String Band, a folk-rock spiritual band of the early ´70s, which brought him to tour the USA and Canada from coast-to-coast. He has recorded numerous CDs of both mantra chanting and songs. He presently gives kirtans and concerts along with his teaching in many cities around the globe. Guru Dass has a unique and beautiful voice which has the power to open one's heart. Many people have expressed heart-chakra experiences listening to him sing. You can purchase his CDs from SpiritVoyage and Sat Nam Versand.